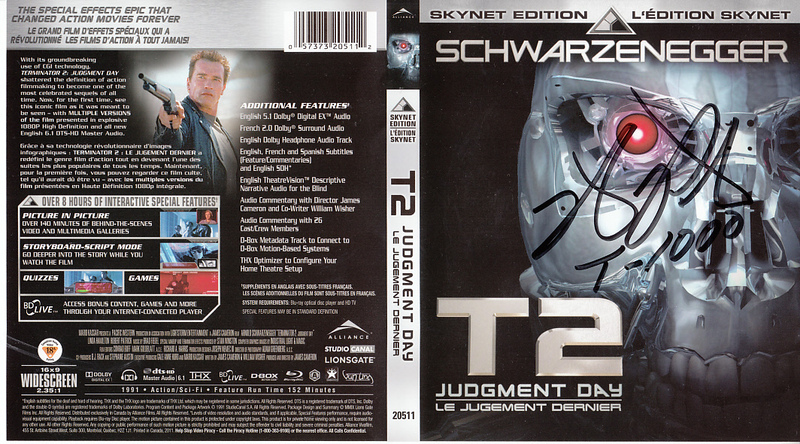 Terminator 2 Judgment Day Skynet Edition Blu-ray cover insert (Canadian version with English or French language) autographed in black marker by Robert Patrick, who added T-1000 to his signature. Obtained in person at 2015 Comic-Con signing, with certificate of authenticity from AutographsForSale.com. BLU-RAY IS INCLUDED BUT NOT SIGNED. ONLY ONE AVAILABLE FOR SALE.